As I explained in my previous report on the Québec solidaire (QS) congress, it was disclosed after the congress that the QS central leadership had disavowed the signatures by its representatives on a proposed “road map” to independence drafted in April by the coalition OUI Québec, which includes all the pro-independence parties including QS. a comment by Sol Zanetti, the leader of Option nationale (ON). Zanetti is replying to the release by Quebec Liberal premier Philippe Couillard on June 1 of a 200-page book he has sponsored – titled in its English translation Quebecers: Our Way of Being Canadian – calling for re-opening of constitutional talks with the rest of Canada in the hope of finally getting Quebec’s approval of the 1982 Constitution, disavowed at the time by a near-unanimous vote of the members of Quebec’s National Assembly. — Richard Fidler lifeonleft.blogspot.ca . At our congress – busy, but stimulating – the members of Québec solidaire made some important decisions. Our party’s program is now complete, we have two new spokespersons with the wind in their sails, we have chosen to undertake negotiations toward a fusion with Option nationale. Of course, much ink has spilled over the contentious issue of electoral pacts with the Parti québécois. The discussions were intense, our members debated them for several months, on many occasions, in various bodies. So it was after much thought that we chose to have confidence in our means and to offer all Québécois a chance to vote for Québec solidaire. We refused to let ourselves be discouraged by catastrophic and hasty scenarios that, absent electoral pacts, prophesize the inevitable re-election of the Liberal party. Our ambition is to prove they are wrong. That is also the perspective from which we want to address the issue of Quebec independence and it is therefore with optimism that we anticipate the work ahead with civil society and the sovereigntist parties notwithstanding the tumult of recent days. It is our opinion that we should not confuse the question of electoral pacts for 2018 with the question of the mechanics for accession to independence. Yes, we have chosen to run QS candidates in all ridings in 2018. But this decision is not in contradiction with continuing work on the road map to independence. We are aware, however, that this decision may have disappointed the other parties in the OUI Québec talks. That is why we think, as does the OUI Québec president Ms. Claudette Carbonneau, that it is a good thing to put the discussions on ice for now. Moreover, we wish to reaffirm that we will continue to collaborate in the work of OUI Québec at the appropriate time. Collaboration of various parties on issues of common interest to them is perfectly desirable. We will all emerge stronger. That is the case, for example, on the issue of proportional representation on which all of the parties other than the Quebec Liberal party have agreed thanks to the initiative of the Mouvement démocratie nouvelle. As was the case for reform of the electoral system, we are delighted that the social movement and some other parties have rallied to our project. In the case of independence, there is now a consensus on the constituent assembly as the way in which to become a country, and this is excellent news. This option, which we have been defending for years, is making headway. 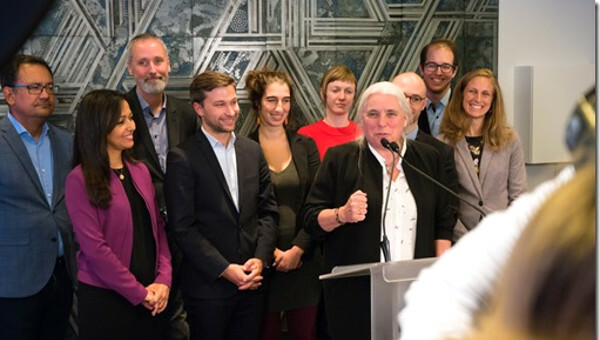 We are very hopeful that the continuation of work with OUI Québec will enable us to convince the other parties and independentist movements in civil society that we gain from aiming for a broad, democratic and unifying popular consultation in order to make Quebec a country. We all emerged from this great congress with a lot of pride and enthusiasm. And we have no illusions as we set about the colossal task awaiting us: winning as many people as possible to our project of a country. We will spare no effort in publicizing our positions, our program, and in convincing Quebec that our hope for change is within reach. Based on our more than ten years’ experience in politics, we are confident that hundreds of thousands of people share our vision of an independent Quebec that is fairer and greener. How to convince the 15% or 20% of Québécois who consistently fail to support the call for independence? The present crisis in the sovereigntist camp obscures two fundamentally different responses to this question. Before tackling it, my training as a journalist constrained to keep to the facts obliges me to acknowledge that my party, Québec solidaire, acted in a completely bureaucratic and opaque way in this affair. The QS claim to do politics differently has just suffered a crushing blow with the disavowal of the signature of its negotiators at the bottom of the OUI Québec road map toward independence. Were Andrés Fontecilla and Monique Moisan mandated to sign this document? Were there other persons within the QS national coordinating committee aware of what was coming? After weeks of omertà, the party members and congress delegates like me did not have the honour of a clear explanation. So much for our anti-system flights of oratory. That said, beyond the necessary clarifications on who did what, when and why, it seems to me that the fundamental reason for the crisis between OUI Québec and the QS leadership was lost in the tempest. And that is that the central element in the road map endorsed by all the other sovereigntist parties is in flagrant contradiction with the official program of Québec solidaire. This program provides for the creation of a constituent assembly elected by universal suffrage without a pre-determined mandate as to the national future of Quebec. An “open” constituent assembly in which federalists and autonomists are welcome. The other parties in OUI Québec have rallied to another formula, Option nationale’s, an assembly with a “closed” mandate, the drafting of the constitution of an independent Quebec. From that perspective, federalists are in theory welcome, but what are they going to do in a constituent assembly that works on a project they reject? How to win over the unconvinced? That’s the nub of the problem facing all the independentists. Who are these recalcitrants? The majority of the Anglophones, but also some Francophones almost everywhere, in Quebec City, the Beauce region, the Outaouais. And above all some citizens from immigrant communities, the cultural communities. 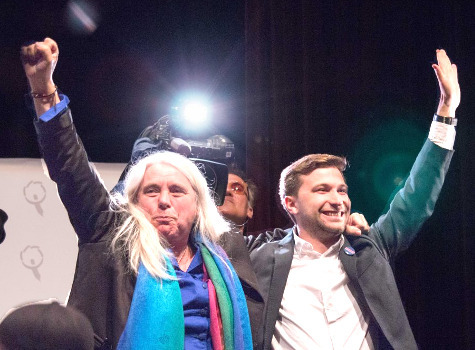 The classic strategy of the Parti québécois, Option nationale and the Bloc québécois has remained the same since the sovereigntist movement began. The unconvinced have not understood, we are going to hammer the truth into them and they will see the light. And after a few weeks of a referendum campaign we will ask them to vote on a project drafted by the sovereigntist clan, government or closed constituent assembly. They will only have to vote yes or no to our marvellous project. Unfortunately, they voted no in 1980 (59.56%) and in 1995 (50.58%) and, if the polls are right, they will vote no again now. For a very simple reason: the adversaries of independence have no obligation to get involved in the substantive debate. They only have to denigrate the sovereigntist project, even conduct a campaign of fear and call on the electorate to vote no. The worst of strategies, from their standpoint, would be to say what they propose in order to resolve Quebec’s national question. Now, once you scratch a bit, you discover that the federalist camp is deeply divided on this question. There are the classic Trudeauists who think there is only one nation that counts, the Canadian one, and that Quebec should sign the 1982 Constitution as is. There are also the federalist but nationalist Québécois, who on the contrary have never digested the abandonment of the theory of two nations and who question the present constitutional order. These include some Liberals nostalgic for the Allaire report, and of course the autonomy supporters of the Coalition Avenir Québec, which has its shopping list of powers to be conceded by Ottawa: Quebec authority over language, culture and immigration, tax points and limits on the federal government’s taxing authority, increased control over the appointment of Supreme Court judges, a right of veto for the provinces, reform of the Senate, etc. And then there are the hypocrites and the discreet, the Couillards of this world, those who perpetually say the fruit is not ripe. 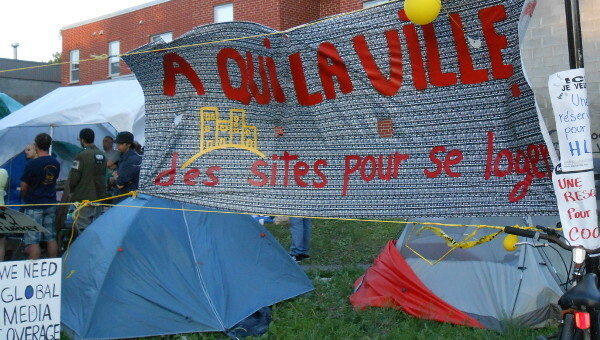 Like the minister of health Gaétan Barrette, they protest from time to time against Ottawa’s encroachments on provincial jurisdiction, but for the most part they are silent. Québec solidaire’s “open” version of the constituent assembly is, in my opinion, the only strategy currently available that can help break the façade of unity of the federalist camp. Let us suppose for a moment that an independentist government creates a constituent assembly, the mandate of which, based on the sovereignty of the Quebec people, consists in defining the future national status of Quebec without predetermining the response. The federalists who are used to saying no will have a choice between participating in the process or boycotting it. Whatever the hard-line Trudeauists decide to do, the debate, which will last for many months, will be truly national and each person will be obliged to plumb the depth of his or her thinking. The people can finally judge on the actual evidence. English Canada will react and we will see, I am sure, that the shake-up of the Canadian system advocated by the autonomists is of interest to almost no one on the other side of the [Ottawa] River. Much more effectively than with the classic referendum approach, the independentists will be able to argue that outside of submission to the Canadian constitution and the denial of self, there is only one outcome, independence. We read with interest the letter published in Le Devoir last May 261 on the advantages of an open Constituent Assembly, that is, without a predefined mandate as to the type of country that is sought. We do not share this choice but we thank the author for contributing to the debate. He makes some very correct observations. He urges us to take into account the lessons of the past and to join in some strategic and pedagogic thinking. He notes that the federalists are not monolithic and that many aspire to a renewed constitution. He wants to leave the largest latitude possible to the Constituent Assembly. These are concerns that inform our approach as well. 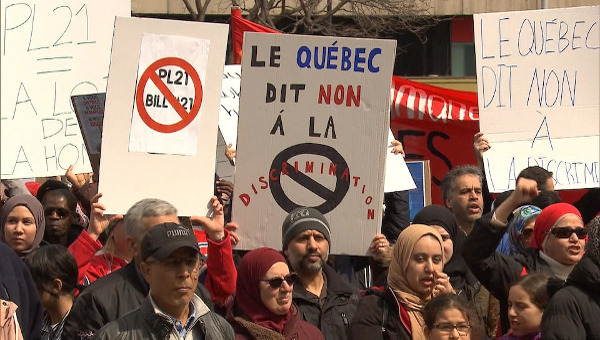 The OUI Québec members are not new arrivals in this debate on a Constituent Assembly to give more substance to the proposal for a country and to get Quebec out of the dead-end in which it is stuck. For a long time we have been calling for this change of paradigm. We have held Estates General on the question, publishing our thinking in Forger notre avenir .2 Above all, we had the audacity to propose to the independentist parties that they undertake an effort to reach agreement on a common path for achieving independence. This was a big challenge. We took this responsibility seriously. We read, reflected, discussed and brought the best experts together. The cooling-off period we have called for should not have the effect of putting this thinking in the freezer! The public debate that is now opening on the fundamental issues is welcome and we hope to contribute actively to it. To proceed to independence, we must gain additional support. In this sense, to interest federalists and open the debate with them is certainly of strategic and democratic interest. This question was moreover a real concern of the OUI Québec participants during the proceedings conducted with our partners in the Parti québécois, Québec solidaire, Option nationale and the Bloc québécois. Drawing on republican thinking, the Constituent Assembly is alien to the Canadian legal system. And this gives the Canadian government and its Supreme Court some significant advantages of which we should be aware. Canada is governed by the rule of law. Whether we like it or not, we are a part of it, and it will not give us any gifts. 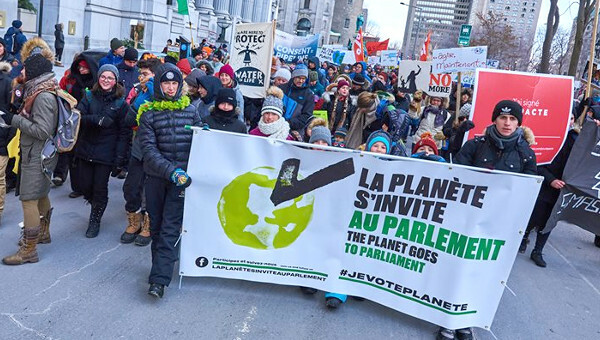 The Supreme Court has already ruled that the Canadian Constitution applies to Quebec notwithstanding the unanimous rejection by the National Assembly. The federal government is not inclined to overlook this. Any ambiguity about the objective that is sought would allow Canada to claim that the Assembly’s proceedings can only produce an internal constitution of Quebec as a province, or vague demands for amendments to the Canadian Constitution. In short, a real disaster as to the objective sought, and a nameless legal quagmire. There are limits to providing all the space to strategic considerations to the detriment of a desired result. To miss our independence by over-reaching is the worst of solutions! As good democrats, our federalist compatriots are invited to participate in the Constituent Assembly upheld by the electorate, as well as in the referendum that will close the process. We invite them to join in the public consultation that would organize the Assembly concerning the guidelines of the new State, its political institutions and the distribution of powers with the regions. A pedagogic exercise about independence is a large order in itself. Letting the federalists think that a constituent assembly is a practical way to amend the Canadian Constitution is an illusion that we reject. To conquer our independence, it is indispensable to carry out a break with the Canadian constitutional order. There can be no ambiguity about this. Canada will fight tooth and nail. Meech, the stolen referendum, the Gomery Commission4… Does that remind you of something? The legal activism of the federal government to get the courts to invalidate Law 99,5 which defines us a people with the right to self-determination, provides an indication of their willingness to obstruct this. We cannot behave as if we were conducting this battle as a cosy debate that is happening strictly among us. Philippe Couillard is not launching a debate on constitutional negotiations as an attempt to divert attention from the disclosures of his links to Marc-Yvan Côté.6 It’s a fortunate coincidence for him, but he could not have drafted a document of 200 pages in one week just for that. It’s a project that he had been pretending to put on ice, but one that he has been preparing for a long time. If he had first reached an agreement with Mr. Trudeau to make it work, it would have been a stroke of genius. In the first place, he would have gone seeking that part of the CAQ7 electorate that wants more power for Quebec within Canada. Secondly, his traditional adversary on this battlefield, the Parti québécois, is bound by its promise not to propose independence in the 2018 election. However, the day after this news appeared, Mr. Trudeau whacked him down, assuring everyone that there will be no opening of the Constitution. If that is true, Mr. Couillard’s initiative falls through and he has made an enormous blunder. He has acknowledged that the status quo is unsustainable, while getting the road blocked to a transformation of Canada. If the Canadian prime minister’s response is sincere, Mr. Couillard is a very poor strategist. If, however, Mr. Trudeau’s refusal is just a set-up and he expects to change his mind in order to give everyone the impression that Mr. Couillard has gained politically, four actions will then become necessary. The PQ will have to review its absurd promise not to undertake any independentist strategy in 2018. Québec solidaire will have to review the mandate it wants to give to its constituent assembly proposal, for it will have to have a clear position in order to oppose this attempt at constitutional “bafflegab.” If the opening of the Constitution becomes the key issue in the next election, those with a middle ground, allowing an interpretation with 50 nuances perhaps, will find themselves between two chairs and will be shunned by the voters. The negotiations on the OUI Québec road map will have to succeed, for the independentists will need a common strategy more than ever. If we present too many different options in a debate that will be so polarized, we are going to lose. If Canada agrees to give Mr. Couillard just half of the five conditions he has posed, he will accept that instead of losing face. He will then sign the Constitution without a referendum, on the strength of his parliamentary majority elected by 29% of the registered voters. Then QS and the PQ will have to envisage the idea of temporary electoral pacts at the dawn of a new conjuncture. I know that no one wants that, but on this the superior interest of the nation is going to require it more than it ever has since the 1990s. Why? Because signing on to the Constitution Act of 1982 would have terrible consequences. First, it would give an appearance of legitimacy to this regime designed to deny Quebec democracy and truncate our difference. Second, because signing this law would entail a further reversal for Law 101, giving constitutional support to the right to English schools for immigrants from the Anglo-Saxon world.8 The consequences for the future of French in North America could be irreversible. Is that really what we want? Apparently a reference to the op ed article published in Le Devoir on May 27, not May 26: “Le véritable écueil: la consituante sur la seule indépendance” [translated above]. Extensive excerpts from this book are on-line (French only) at http://www.wikiquebec.org/Forger_notre_avenir. The ellipses in this article are Le Devoir ‘s. It is unclear whether they indicate that a part of the text has been omitted here. Respectively: the federal-provincial Meech Lake Accord on reform of the Constitution, rejected by two provinces (Manitoba and Newfoundland) in 1990; the 1995 Quebec referendum on sovereignty narrowly defeated through federal intervention in violation of Quebec law; and the federal inquiry condemning Ottawa’s illegal and corrupt public funding of pro-federalist propaganda in Quebec. An Act respecting the exercise of the fundamental rights and prerogatives of the Québec people and the Québec State , adopted by the National Assembly in response to the Clarity Act of the federal parliament imposing limits on the exercise of a future Quebec referendum on independence. This is an implicit reply to Québec solidaire’s Amir Khadir, who dismissed Couillard’s move with this allegation tied to the latest scandal involving the premier. The CAQ (Coalition Avenir Québec) is now ranked second in opinion polling, slightly ahead of the Official Opposition PQ. Zanetti is referring here to section 23 of the Canadian Charter of Rights and Freedoms , “Minority Language Educational Rights,” which is part of the 1982 Constitution. Law 101 is the Quebec Charter of the French Language . Nika Deslauriers is President of Québec solidaire.